Listening to Enslaved is a real trip. Whether sampling songs from Vertebrae, Blodhemn or Ruun, the experience is transformative and enlightening through sounds so atmospheric and musicality so flawless. It’s no surprise if your initial response after listening to intro track, “Thoughts Like Hammers” would be to flip through the liner notes of RIITIIR. Yes, Jens Bogren produced the record, which surely enhanced its completion in some aspects, however the impact of the album is not attained through the master of the studio. For Enslaved’s unique, progressive, black metal style is the root of the voyage you take on this album. It’s arguably the band’s most uniform element, and they hit all the right notes this time. The Bergen, Norway natives return from the acceptable, but not outstanding, Axioma Ethica Odini, with a record that’s hard-hitting and capable of reaching similar recognition of hits like “Havenless” and “Isa.” With little to unnoticeable Viking tales here, RIITIIR is more of an aural journey of time and space. Though Enslaved has taken a more experimental path, they kick it old school BM on “Roots Of The Mountain,” with pummeling blasbeats, Grutle Kjellson’s famous growl, and minor chords. Smooth basslines, graceful vocals by Herbrand Larsen, with technique that has improved exponentially, and paced guitar strums play a progressive role, blending with perfection. Poetry is often a driving force in Enslaved’s music, paving a path of intricate composition, “Forsaken.” The closing piece of RIITIIR stands at approximately 11 minutes and it’s a vortex of awesome. In fact, the state of awe is so intense that the progression of echo chamber piano to esoteric bass with vocals that range from whispers to guttural, graceful cymbal hits and soft strums are trance inducing. The piece is so mesmerizing that you never want it to end. 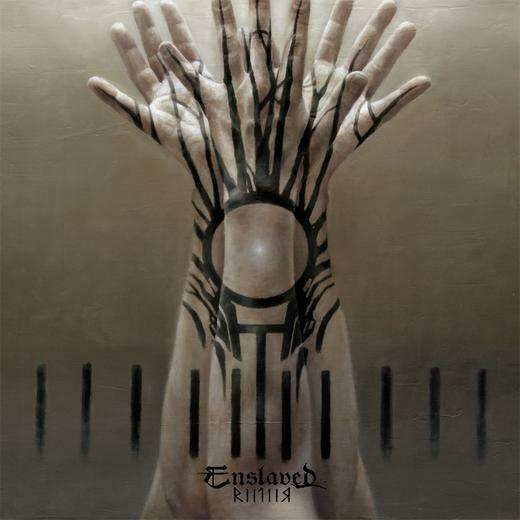 Unlike other Enslaved albums that average at 12 tracks, RIITIIR is carefully curated to eight, and it’s for the right reasons. The Norsemen have paid attention to quality over quantity, and much like a good art exhibit, each piece is packed with colour, technique and emotional impact, speaking for themselves while allowing the listener room for interpretation on this sonic voyage. 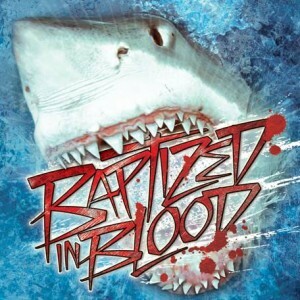 The first record gave me a lot of reasons to listen to it time and again. This new record gives me reason to let it collect dust. The best songs here are from the indie release, so there’s no need to spin the new one if you own the first album, and if you don’t I suggest you track it down and buy it.